It’s easy to be full of big resolutions to change your habits; the hard part is making good habits stick. Ever started the week determined to hit the gym every day? Monday and Tuesday you’re totally smashing it. By Friday it’s all like ‘who’s gym? ?’ between mouthfuls of cookies. I was struggling to get into the routine of regular exercise until I understood how the habit loop worked. Mastering the habit loop is the key to making good habits stick – you can make the process even easier by habit stacking. 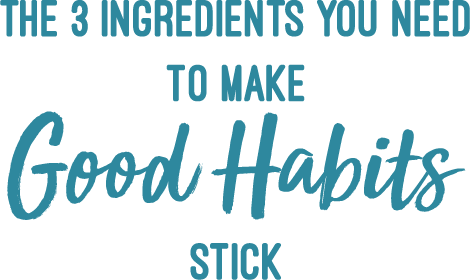 I’m going to explain the 3 ingredients of the habit loop, habit stacking and how they transformed my commitment to daily exercise. It’s not just exercise though, you can apply these strategies to any positive habit you want to build into your life! 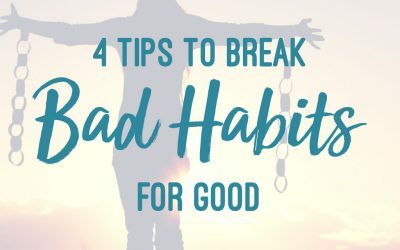 The habit loop consists of the 3 key ingredients of any habit; they’re essential for making good habits stick: A trigger, a routine and a reward. The Trigger: Is all about the event that starts the habit. The Routine: This is the behaviour you perform; ie – the habit. The Reward: This is whatever benefit or buzz you get from doing the habit. Each part of the loop plays a role in forming new habits, so let’s talk about what each part of the habit loop means using a really common example; notifications on the iPhone. When we receive a notification on our iPhone, a little red alert symbol appears. This is the trigger. Seeing the trigger you know there’s a message or an update to read; you want to know what’s going on; so you read it. This is the routine. Now you’ve completed the routine; you have the reward; knowing what is going on. Another example is your to-do list. Reading the next ‘action item’ on your to-do list is the trigger. Completing the task is the action and then the feeling of accomplishment/ relief when you check it off the list is the reward. Using time is a powerful way to form new habits. For example, we usually wake up every day around the same time. 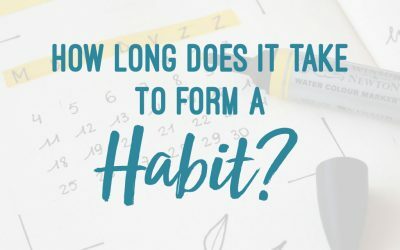 Our first habit of the day may be to head to the bathroom; which triggers a cascade of sequential habits; take a shower, get dressed, make a coffee, eat breakfast; brush your teeth etc. The time of day is the trigger for these habits. If you want to incorporate a new and positive habit into your morning routine; let’s say reviewing your goals every morning you may write out your goals and stick them to the bathroom mirror. Then you decide while you’re brushing your teeth every morning to you review your goals for the week / month / year whatever. The trigger is brushing your teeth, the routine is reviewing your goals and the reward is the happy feeling you get from visualising and thinking about your goals. ‘Habit stacking’ is possibly one of the most profoundly effective ways to continually build good habits into your life using existing habits as a trigger. It’s exactly what we’ve done in the above example. We all have habits we do every day as part of our routine; like those morning activities. Your brain can almost do these on autopilot because the neural pathway for this habit is so deeply ingrained. We can use these habits already wired strongly into our brain to trigger a new habit. It’s a quicker and more effective method to capitalise on the existing neural pathway that fires up the old habit rather than trying to build a new neural path from scratch to start the new habit. It also means you don’t need to rely so much on willpower alone when forming a new habit; because that rarely works! I used the habit stacking technique when I was trying to fit regular exercise into my schedule and really struggling! I learnt very early on that it was difficult for me to find the time to do it. If I sort of left it to chance and tried to exercise in the afternoon, often it just wouldn’t get done! If you haven’t seen my article 10 things I learned about exercising every day for 365 days – check it out here. Building a new, positive habit into your life doesn’t have to be difficult or complicated. Focus on thinking about the trigger, routine, reward and use habit stacking where possible. I’d love for you to go away and think about what your trigger, routine and reward could be for the habit that you’re trying to incorporate in your life and the habit you’ll stack it too! Let me know in the comments below. I’ve put together a quick video with 4 simple tips to help you ditch habits that don’t serve you and replace them with amazing ones that do. I cover habit triggers, replacing a bad habit with a good one, making the habit hard and how to scramble your brain to break a habit. Ok, that last one is a little crazy, but its super powerful, I promise.